TraceMON is a client-side tool for monitoring and investigating reachability and performance of one or more targets in a network. It uses traceroutes collected by the RIPE Atlas project or third party repositories for inferring network topology and characteristics of the various network component involved. 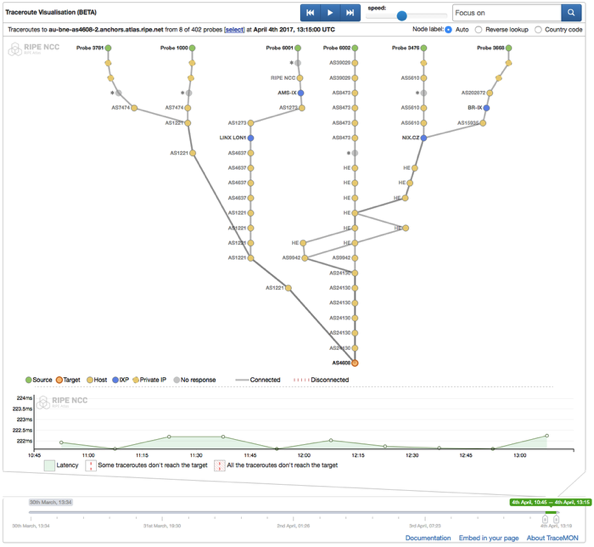 RIPE has a number of useful tools for visualising and troubleshooting the Internet.